No specific class does much better than another in this dungeon. Belladonna’s Garden supplies many weapons that are unique in their own way, but they are only vanity versions of T9 weapons. Although they are UT, they can be traded. You may even receive one of the rare skins in a white bag. You are no longer able to purchase this key. (It was available through the ‘Player Appreciation Event’ from April 2014. They use to cost 250 fame and was cut back to 100 fame.). This dungeon was the first ever boss fight. The simple box-design of this dungeon allows easy navigation as the boss spawns in the middle of the room so there is no need for navigation; just cut to the boss fight. 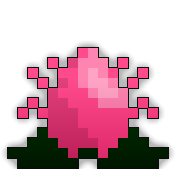 Belladonna will spawn flowers that explode into projectiles, you must avoid the red flowers at all costs, as they can be lethal The white flowers do minimal damage, but quiet you. The yellow flowers slow you but are nothing to worry about.. Upon any player approaching Belladonna within a range of approx <5 tiles, Belladonna will begin to fire Leaf bullets in multiple large streams. Upon taking enough damage, or upon a certain amount of time passed, Belladonna will enter its next phase. Try to assemble a cluster of people to land attacks on the leftmost side of Belladonna. From here, you will notice that a wall of Belladonna Buds will block this barrage of attack, swiftly move from left to right landing hits, constantly avoiding the exploding flowers. If you are not maxxed, use your ability to constantly land attacks on Belladonna while she is vulnerable. You are safe nowhere in this dungeon as long as you are near an Immaculate Red Flower: they do massive amounts of damage and restrict your movement, so watch out! Some may be hidden near the edges of the map, so rotate your screen before you find a perch for your characters. After Belladonna dies, she leaves a chest. 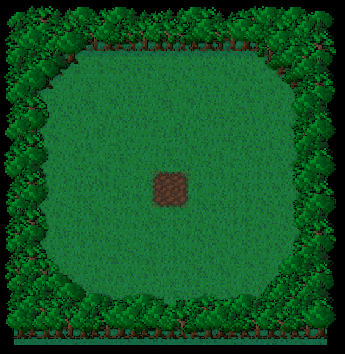 Be sure to rush to the center right away, as this is where the items may drop. Note that this chest has less HP than most other test chests, so be wary because it will get steamrolled in a larger group.